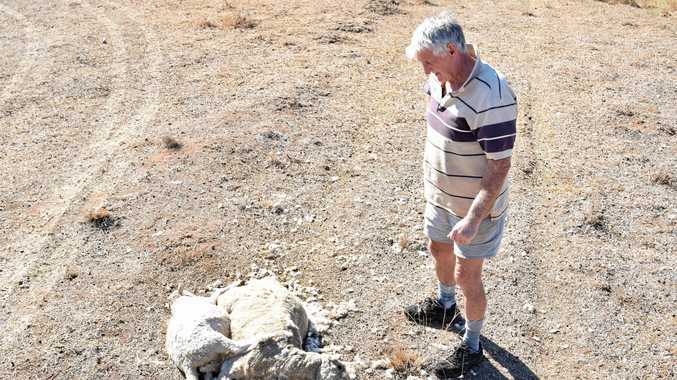 A SPATE of vicious dog attacks has forced Allan O'Donnell to make the call to sell the last of his dorper-merino sheep and go into early retirement. "They've been getting attacked now for about a month, spasmodically," he said "I think it's getting a bit more often. "The first attack they got four lambs, two in the top paddock and two down the front," Mr O'Donnell said. At the weekend, a ewe with twin lambs was attacked. The dogs killed one lamb and tore the side out of the mother. Mr O'Donnell was away in Toowoomba and returned home yesterday to discover the horrific scene. "I'll have to cut the ewe's throat," he said. The attacks have all the tell-tale signs of domestic dogs. They like to toy with the sheep, attacking the adults rather than weaker lambs. "The ewes run off while the lambs wouldn't," Mr O'Donnell said. "I think it becomes a game for them." Once they bring a ewe down they don't eat the carcass but move on to attack other sheep. Importantly, the dogs have no fear of humans. A recent attack happened in full sight of Mr O'Donnell. "We got quite close to them. 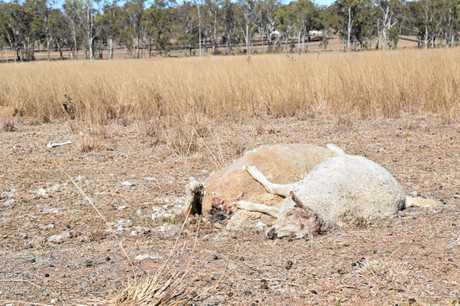 Last Tuesday a mate of mine was here with me, we let some ewes out of the yards and back down the dam," he said. "A little lamb got mis-mothered in the yard and I said I'd carry him down." Mr O'Donnell was part of the way to dam when he could hear his mate Charlie yelling. 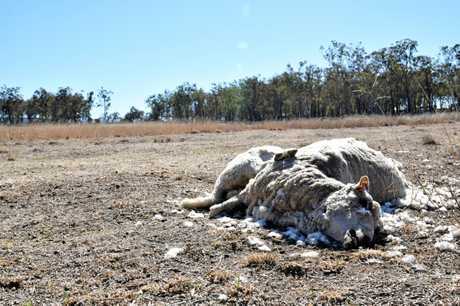 "A lot of sheep were coming up from the dam and the bloody dog was about 100 yards away from me," he said. "He was following the sheep up, he was reddish-brown. Charlie was yelling at him because he was trying bite at a sheep. "He didn't really hurry away, a dingo or wild dog would never come here if there are people around, but these bastards don't seem to care." The attacks on his lease-hold block behind Morgan Park Raceway have sapped the profit margin from Mr O'Donnell's operation. He has notified Southern Downs Regional Council but there's little it can do. When the attacks first started he employed a hunter in a bid to trap the dogs but he was unsuccessful. Now Mr O'Donnell is taking matters into his own hands and will camp out waiting to trap, or shot, the predators. "I want to see these dogs in the sights of my rifle," he said. "Some people will read about this and think, 'Shoot, maybe that's my dog'. Mr O'Donnell sold 100 head at the Warwick Sheep Sales on July 25 and the rest will head to market soon. "I'll sell up in the very near future," he said.